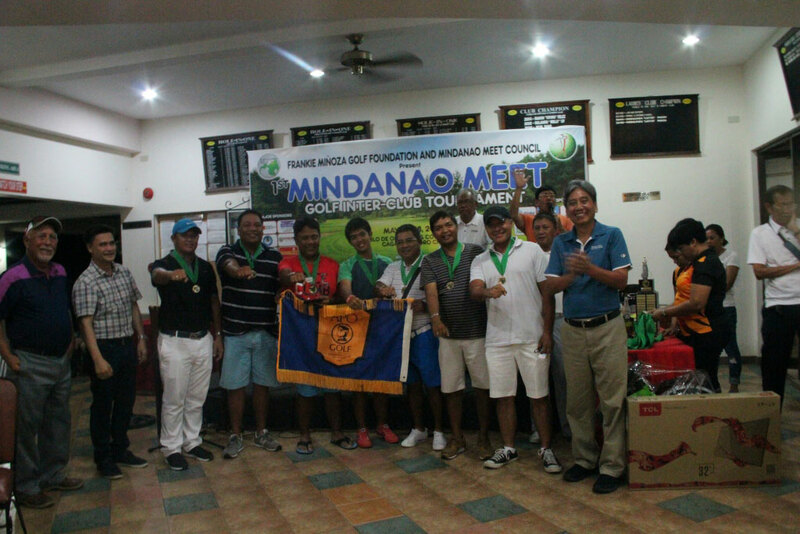 THE 1st Mindanao Meet Golf Interclub was successfully concluded last May 28, 2016 with an awarding ceremony and fellowship night at the Pueblo de Oro Golf and Country Club, CDO honoring golfers from all over Mindanao who competed gallantly and represented their clubs in the Mindanao-wide tournament. 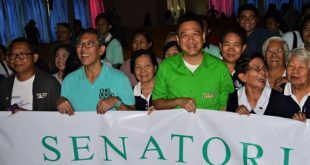 The event kicked off last May 25 and was graced by Cagayan de Oro’s Mayor Oscar Moreno and the Department of Tourism Josephine H. Roque. 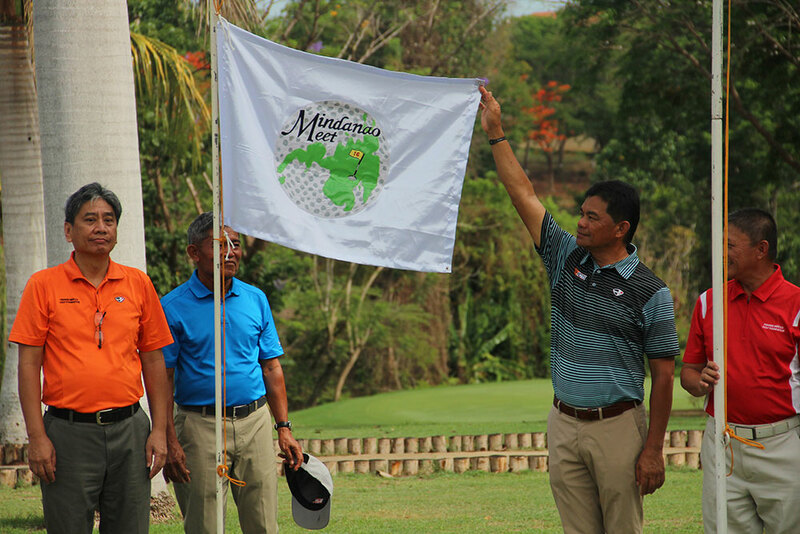 The opening activity was started by a traditional ceremonial tee by Frankie Minoza, chairman of Frankie Minoza Golf Foundation (FMGF), Mayor Moreno, Dr. Hector San Juan, President of FMGF, Pili Sison, VP of FMGF, and Cliffford Celdran, Tournament Director/Golf Manager of Pueblo de Oro Golf&Country Club. 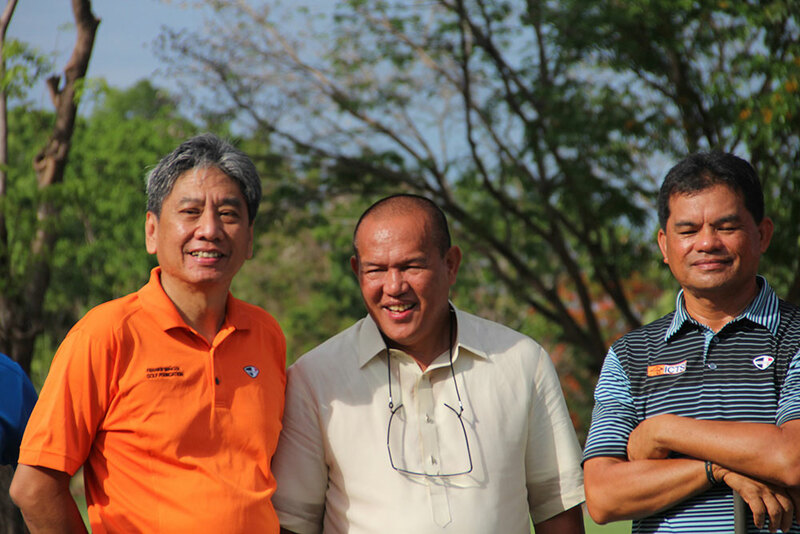 Present during the ceremonial tee were the captains of the various golf clubs in Mindanao. The raising of the Philippine flag and colors followed after the ceremonial tee then it was later followed by a Captains meeting to discuss tournament rules and election of the next venue in 2017. 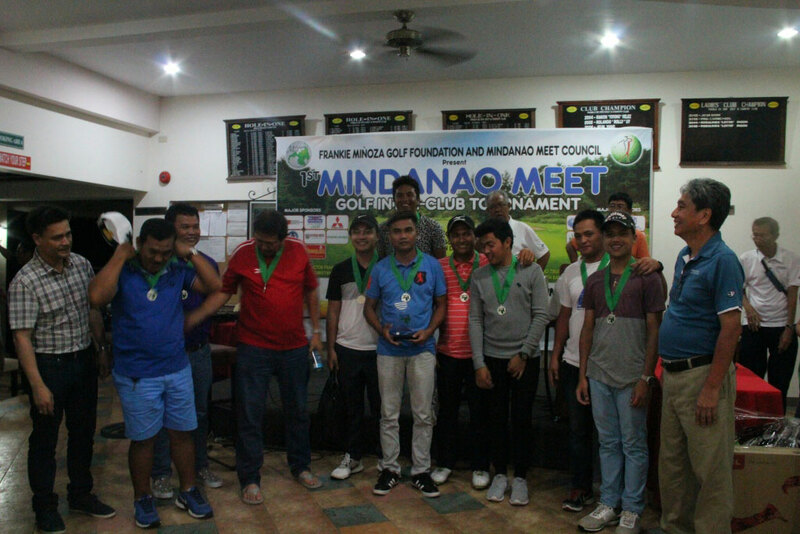 The Mindanao Meet of MindaGolf Interclub was organized by the Frankie Minoza Golf Foundation and Mindanao Meet Council primarily to foster camaraderie among all Mindanao based golf clubs and golf groups thereby promoting and developing the said sport among the enthusiasts and the youth. 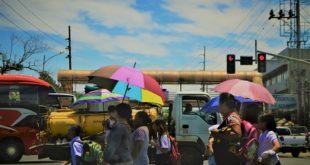 It will also serve as a vehicle and catalyst for business and tourism in Mindanao. 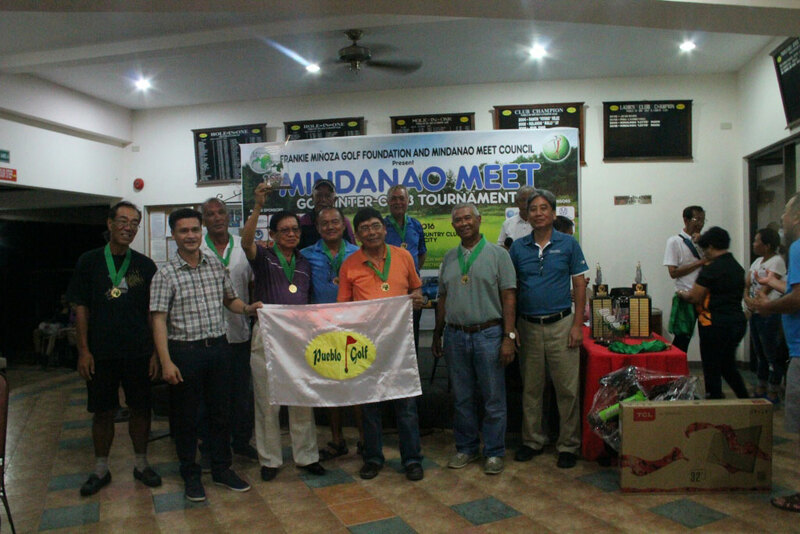 The Mindanao Meet council is composed of representatives of all Mindanao golf clubs. 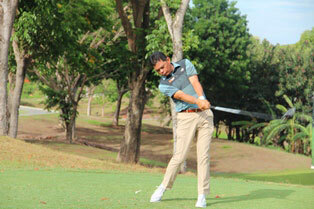 MindaGolf Interclub is a yearly event rotating in all Mindanao golf clubs. 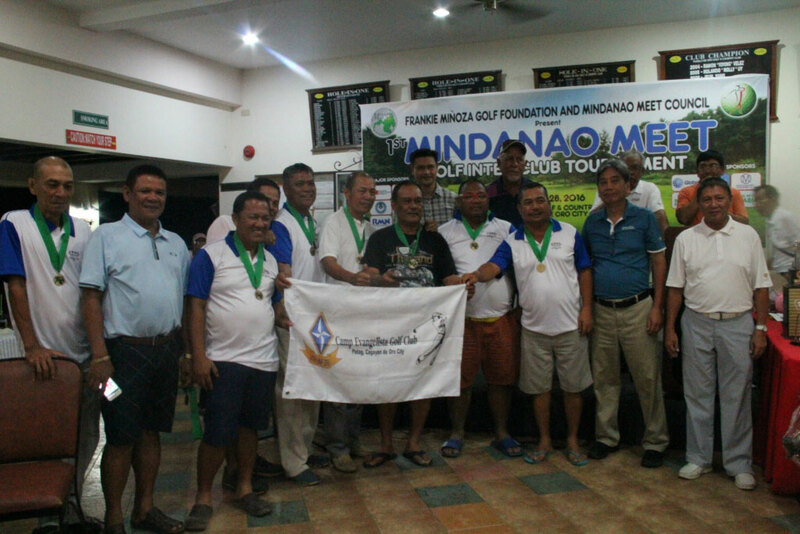 Out of the sixteen golf clubs in Mindanao, twelve (12) participated in the event composed of 230 players representing both Regular and Seniors Division. 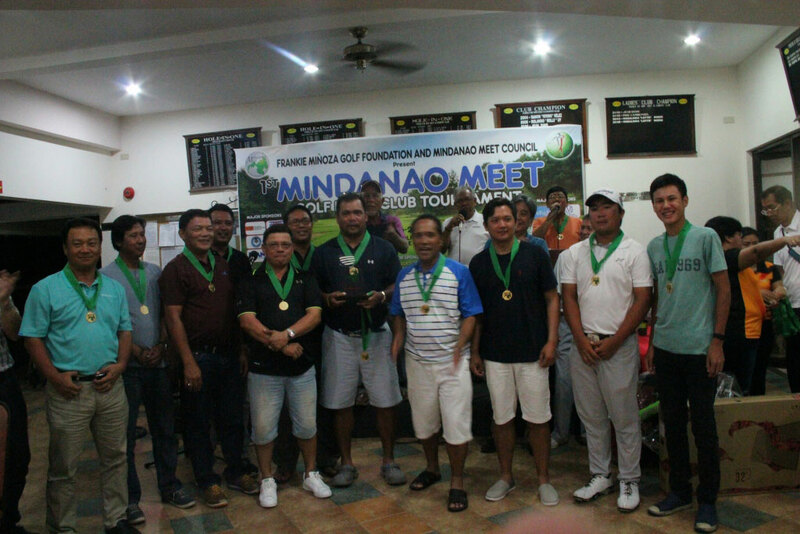 The Mindanao golf clubs who attended the Mindanao-wide tournament are Del Monte Golf, Pueblo de Oro, Camp Evangelista, Iligan Golf, Butuan Golf, Ozamiz Golf, MSU-Marawi, Zamboanga Golf, E.Andrews Golf, Iliana Bay -Cotabato, Paraiso Golf-Koronadal, Dole-Kalsangi Golf, Saranggani Golf, Apo Golf, Davao City Golf-Matina, Ranchos Palos Verdes Golf. Unfortunately Paraiso, Davao City Golf, E. Andrews, and Palos Verdes were not able to join but vowed to participate in next year’s tournament. Tournament proper started with the Captains and Sponsors tournament then the team competition followed the day after, the entire event lasted for three days. And finally the Awards night last May 28 it was graced by the officers of the FMGF led by its President Hector San Juan,VP Pili Sison, Mike Comique-PRO, Eva Minoza-Teasurer, Bert Lim-Secretary and Ms Josephine H. Roque of the Department of Tourism. 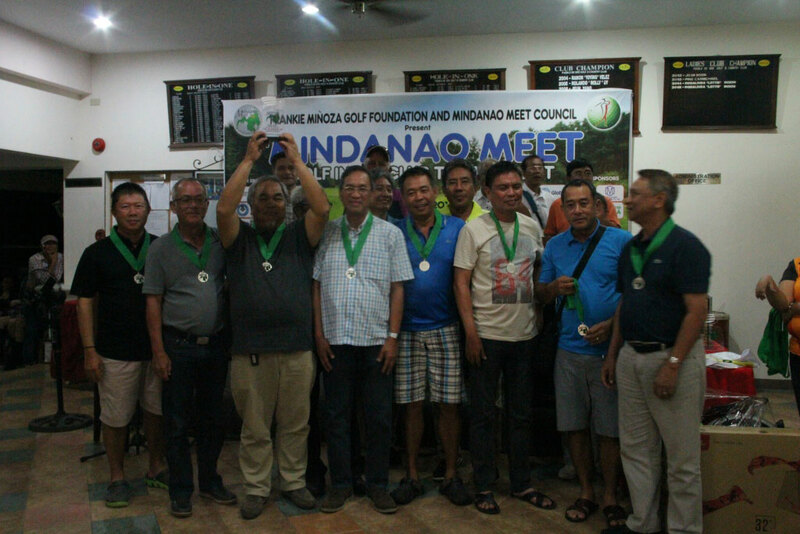 The Tournament would not be as thrilling and competitive without these remarkable golfers who gave it their all to become the best of the best in the 1st Mindanao Meet Golf Interclub. Captains Tournament Regular Division, Champion- Chino Suezo, Ozamiz Golf and Seniors Division, Champion- Rudy Litang, Camp Evangelista, CDO. For Sponsors Tournament: Champion Roni Canlas followed by 1st Runner up Anico and Hatchery 1st Runner-up – Rey Brioso, Metalite Builders Dev. Corp. and Ed Llosa, Metalite Builders Dev. Corp 2nd Runner up. 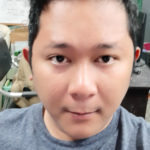 Best Individual Scorers in the Regular Division we have Jay Gamolo, Del Monte Meanwhile, for seniors division Clifford Celdran of Pueblo de Oro. The event also included team competitions wherein Pueblo de Oro dominated the scoreboard. For the Regular Division capturing the title goes to Pueblo de Oro (Champion), 1st runner-up is Del Monte and 2nd runner-up is Apo Gold. Meanwhile for the Seniors Division Pueblo de Oro also takes the Championship title followed by 1st runner-up Saranggani Golf, and Camp Evagelista respectively. The Awarding ceremony concluded with guest speakers Chrysler Acebu the General Manager of Pueblo de Oro Golf and Country Club who thanked everyone who joined and participated in the said event and hoped that they will return next year for another season of Golf.